I’m sure I have mentioned, I have 2 favorite magazines as a source of my most favorite recipes. One of them is Cooking Light, and that is where I found this little keeper. The recipe calls for tahini which is a sesame seed paste and a staple in the Middle Eastern diet. You can find it at Trader Joe’s, Whole Foods and I have even heard Costco. Well, I don’t have a Trader Joe’s or Whole Foods near me and since the recipe only calls for 1 tablespoon, I am not sure what I’d do with a gallon of it from Costco. If you are in the same boat, you can try making your own but again, that is a lot of leftover tahini. Anyway, you can substitute with hummus which is what I did, or according to Alton Brown, peanut butter will do. 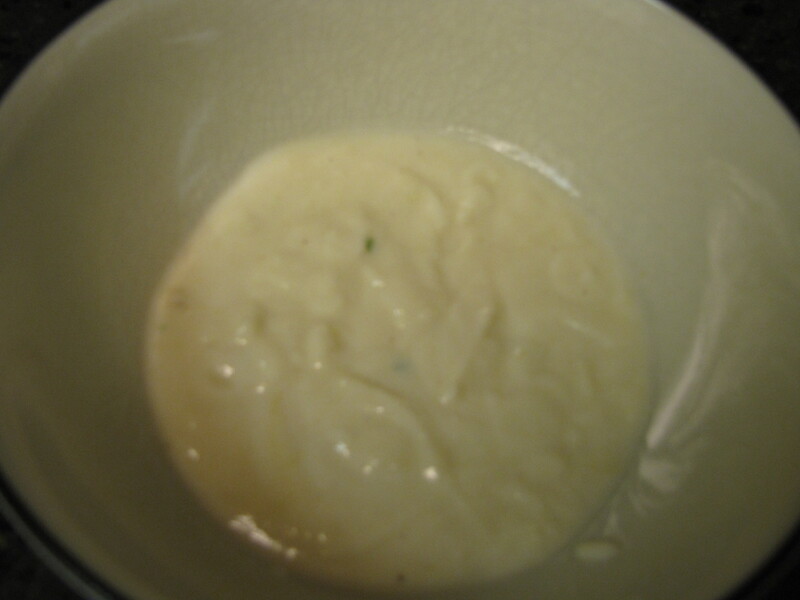 Combine first 6 ingredients in a large bowl; stir in 1 tablespoon yogurt, 1 tablespoon juice, and 2 garlic cloves. Add chicken; toss to coat. Heat oil in a large nonstick skillet over medium-high heat. 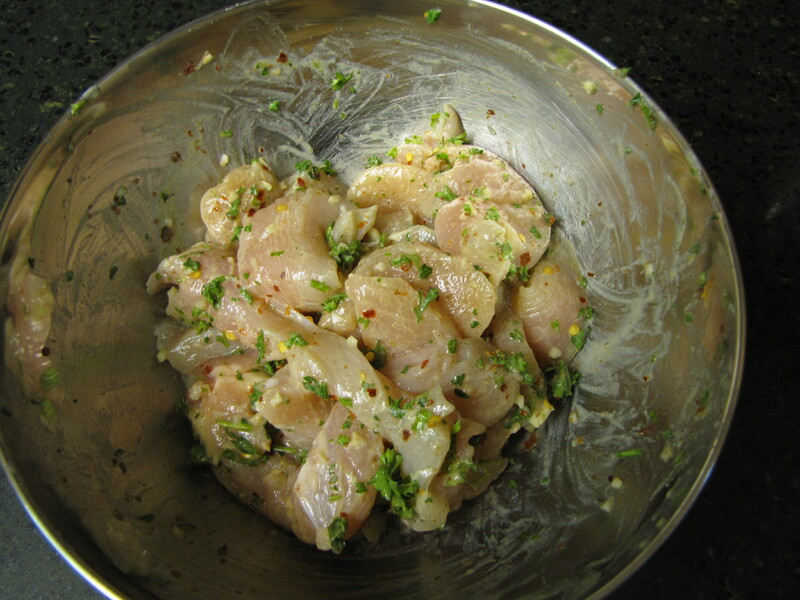 Add chicken mixture to pan; sauté 6 minutes or until browned and done, stirring frequently. While chicken cooks, combine remaining 1/4 cup yogurt, remaining 1 tablespoon lemon juice, remaining 1 garlic clove, and tahini, stirring well. 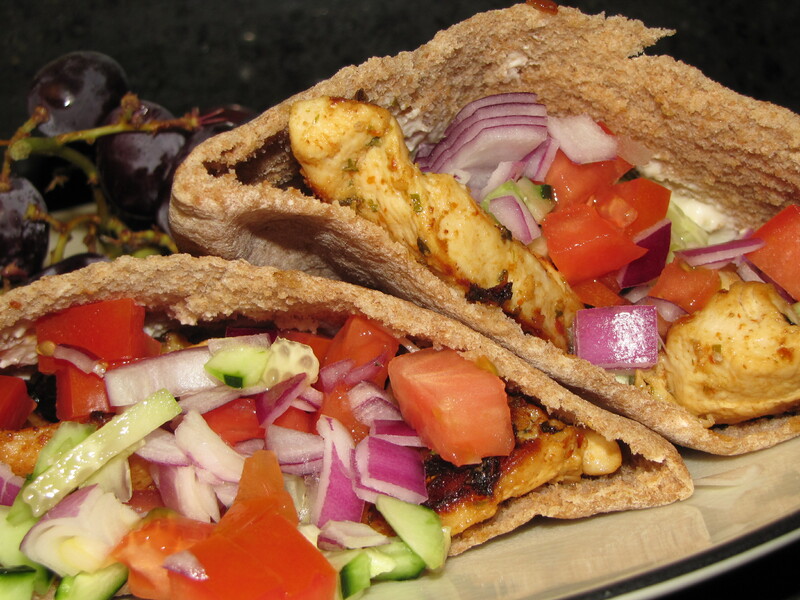 Spread 1 1/2 teaspoons tahini mixture inside each pita half; divide chicken evenly among pita halves. 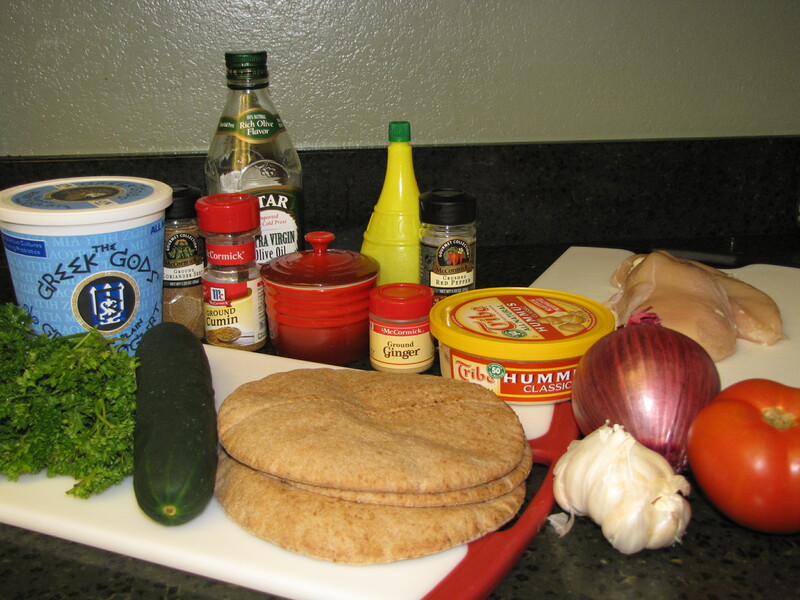 Fill each pita half with 1 tablespoon cucumber, 1 tablespoon tomato, and 1 1/2 teaspoons onion.